This is one of a set of three photographs showing the same spheres with different lighting conditions. 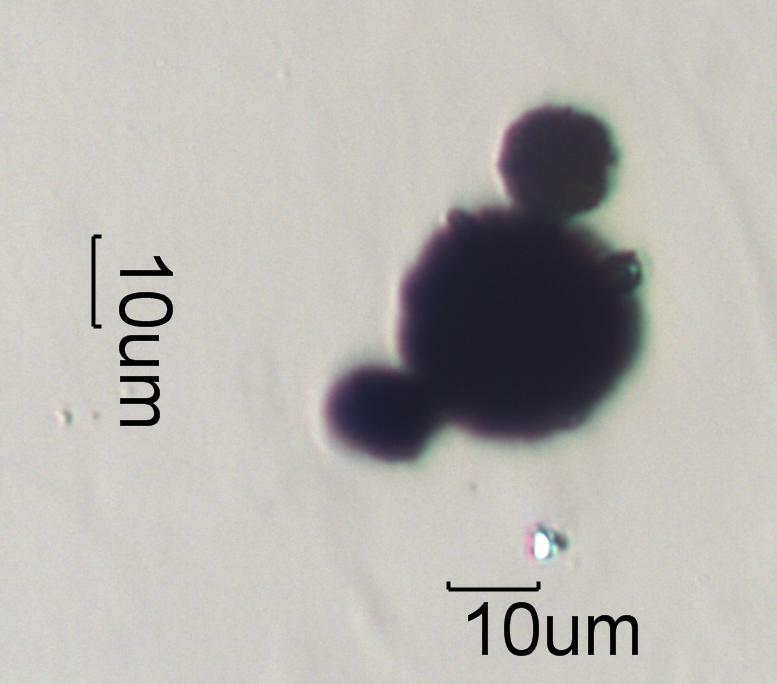 This shows the transmittance of these three paint spheres when viewed with transmitted off full crossed polarized light. The particles appear black though they are only effectively opaque when viewed without full crossed polarized and/or reflected light. This is from an environmental tapelift collected in a home.